The Beatles in mono: This is how most listeners first heard the group in the 1960s, when mono was the predominant audio format. Up until 1968, each Beatles album was given a unique mono and stereo mix, but the group always regarded the mono as primary. THE BEATLES IN MONO VINYL BOX SET is released in mono on fourteen 180-gram vinyl LPs with faithfully replicated artwork, newly mastered from the analogue master tapes. 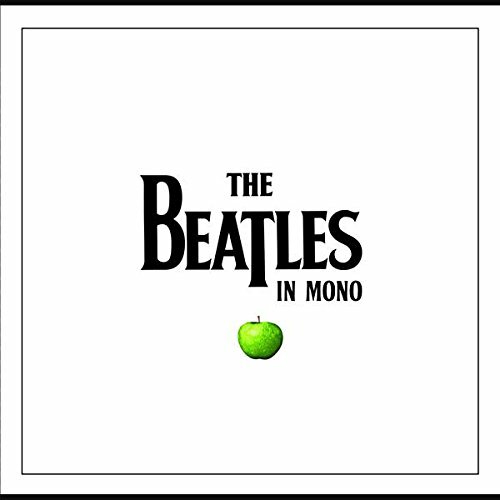 In an audiophile-minded undertaking, The Beatles' acclaimed mono albums have been newly mastered for vinyl from quarter-inch master tapes at Abbey Road Studios by GRAMMY®-winning engineer Sean Magee and GRAMMY®-winning mastering supervisor Steve Berkowitz. While THE BEATLES IN MONO CD boxed set released in 2009 was created from digital remasters, for this new vinyl project, Magee and Berkowitz cut the records without using any digital technology. Instead, they employed the same procedures used in the 1960s, guided by the original albums and by detailed transfer notes made by the original cutting engineers. Manufactured for the world at Optimal Media in Germany, The Beatles' albums are presented in their original glory, both sonically and in their packaging. The boxed collection's exclusive 12-inch by 12-inch hardbound book features new essays and a detailed history of the mastering process by award-winning radio producer and author Kevin Howlett. The book is illustrated with many rare studio photos of The Beatles, fascinating archive documents, and articles and advertisements sourced from 1960s publications. Albums included in the box set are REVOLVER, MAGICAL MYSTERY TOUR, RUBBER SOUL, WITH THE BEATLES, MONO MASTERS (3LP SET), THE BEATLES (2LP SET), BEATLES FOR SALE, SGT. PEPPER'S LONELY HEARTS CLUB BAND, PLEASE PLEASE ME, HELP! and A HARD DAY'S NIGHT.